Finally got around to trying the famous Llaollao, but only because it was my colleague's birthday wish. 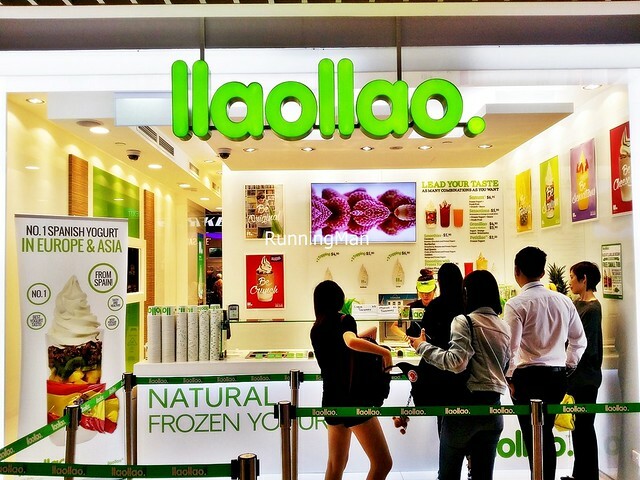 When Llaollao, a Spanish froyo (frozen yoghurt) brand, first opened in Singapore in August 2012, their flagship outlet at Marina Square / Marina Link Mall saw queues of over 2 hours! 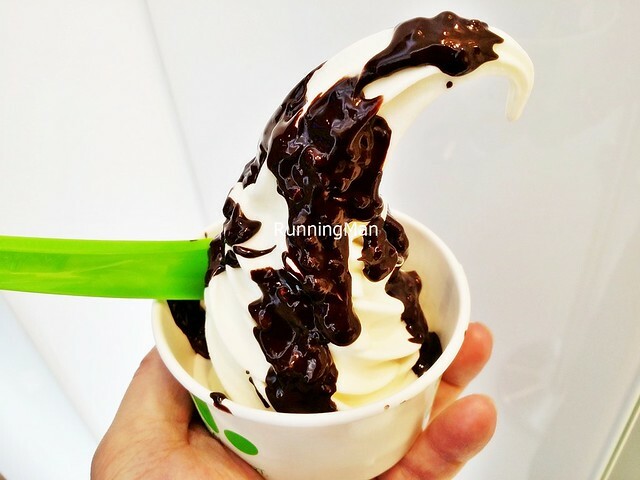 These days, with multiple outlets across Singapore, the queues are shorter and bearable, but it's a testament to their popularity that Llaollao still manages to attract crowds with their frozen yoghurt treats. 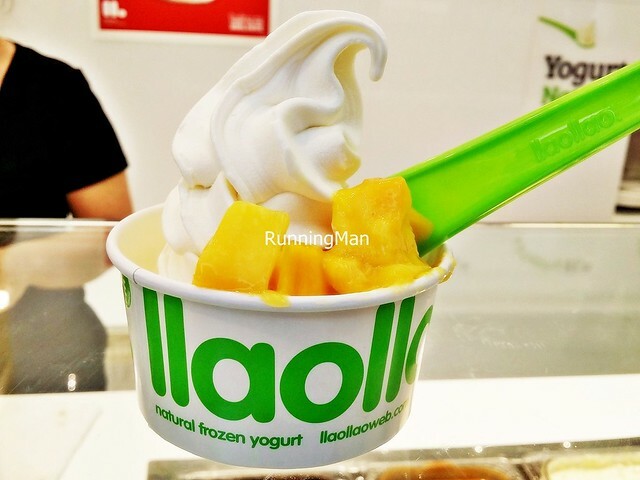 As Llaollao is primarily a takeaway store, there is little to no ambience to speak off. There is usually no seating available, except at selected outlets. 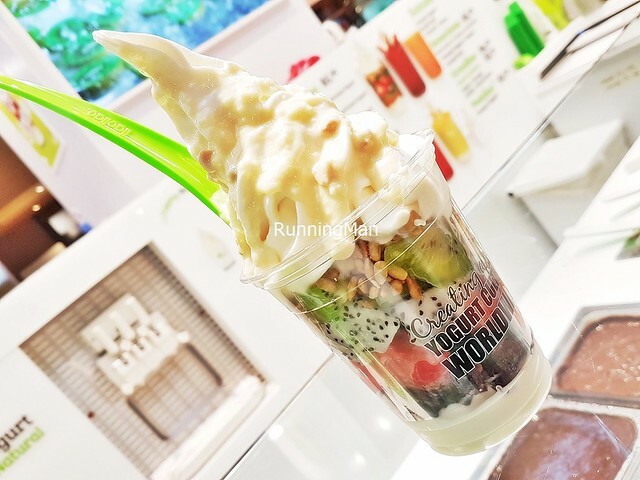 About the only thing to say is their incredibly bright green signage, and attractive display of yoghurt toppings, all of which look appetizing. Pure eye candy! Still, it's rather easy to walk and eat with their desserts, though the serviettes provided are of poor quality. There is also little to no service at Llaollao, as everything is largely self-service, from ordering, to payment, to collection. However, there is some staff engagement, as you'll have to interact with staff when asking for toppings, and they can and will make recommendations when asked. Beyond this, the largely young staff can sometimes be brusque, especially when there are queues. 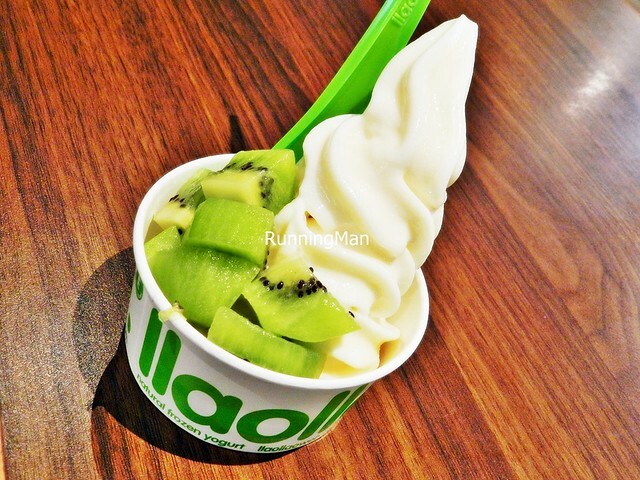 Llaollao only does 1 type of froyo (frozen yoghurt) flavour, original, and instead offer an extensive variety of toppings. They are especially known for their fruit and sauce toppings. The Llaollao yoghurt is completely natural, and has a unique milky taste with a creamy texture, but also melts rather quickly. Portions can be shared, and prices are slightly higher than other yoghurt stores, budget about SGD $7 per person. I generally get their small Yoghurt (SGD $4.90), which comes with 1 topping. The Mango topping is soft and sweet, seems to be very popular as I understand they run out of it quickly. The Kiwi Fruit topping, by contrast, is sour and firm with a slight crunch, not very appealing on its own. The Yoghurt With Milk Chocolate Fudge Sauce would have worked much better on plain yoghurt, as the milky taste clashed violently with the chocolate, making it unpleasant. 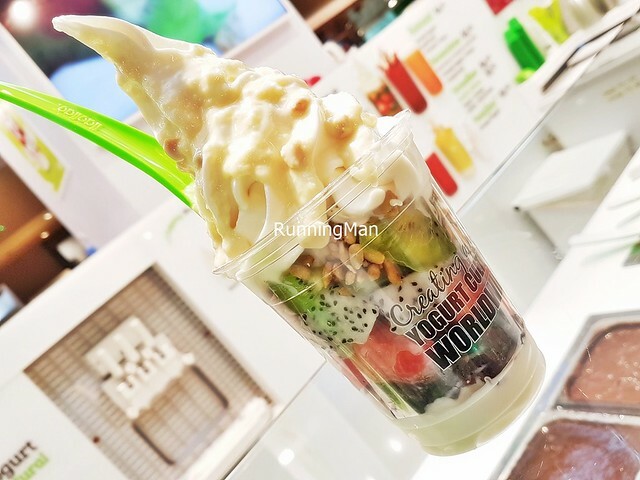 The signature dessert here, the Sanum (SGD $6.95) is a mountain of 3 types of fruits, 2 types of crunches, 1 sauce, and a large garnish of frozen yoghurt / froyo. The Sanum With Dragon Fruit, Kiwi Fruit, Cranberries, Sunflower Seeds, Granola, Frozen Yoghurt, Raffaello Sauce is an excellent combination, with sweet sour taste from the mix of fruits, earthy nutty tastes from the crunches, and the sauce which lends a chocolate floral flavour to the sweetness of the yoghurt. Fantastic!